I am really going to miss Bill Ramey. It seems that Elkhorn City is losing some of its great ones. It is impossible to cover impact that Bill had on our community. So I will hit just a few high spots. Rodney Ruth, another great, and Bill’s best friend, spoke of Bill at the funeral. Rodney’s basic point was that Bill was “there” for Elkhorn City. 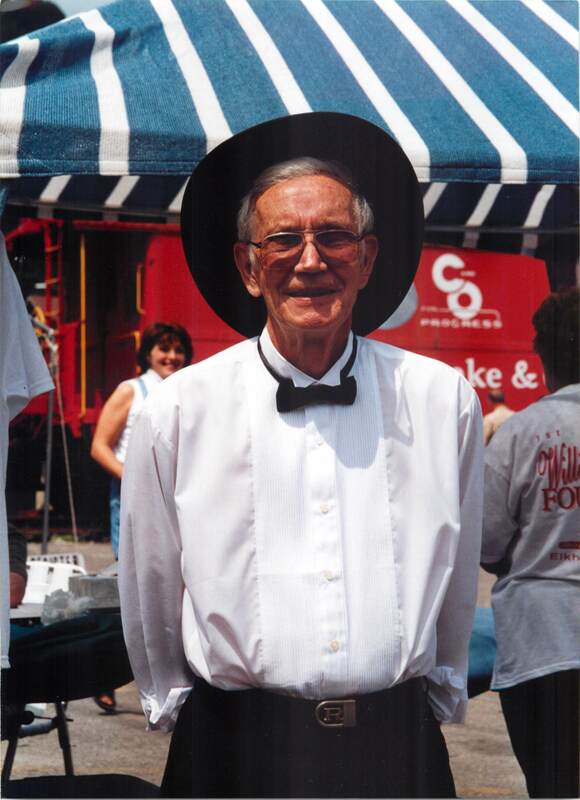 Bill loved Elkhorn City and was always at every event helping promote Elkhorn City. However, when Rodney said Bill was there, his definition of “there” was more than most people know. Bill was there at the planning. Bill was there at preparation of the event. Bill was at the Event. Bill was there after the event, either helping collect the garbage, taking down the tents, and just making sure everything was back the way it should be. Yes, Bill was there when the idea came up, when the grunt work was needed, and he was there long after the politicians and elected leaders went home early. Bill was also the founding father of the Elkhorn City Area Heritage Council, Inc., The Heritage Council started after a conversation in which Bill told me that he wanted a historical society in Elkhorn City. So I did what I could and with the help of numerous other great people we started and we have not stopped. Bill loved the Elkhorn City Cemetary and along with Nina Aragon was the reason the Cemetary was inventoried and placed on the list of Kentucky Historical Landmarks. He is also the person who pushed and helped us get the William Ramey historical marker at the Caboose and all the other historical markers that followed. Bill, along with Rodney was also the heart of the Elkhorn City Park Board. Yes, I have to agree with Rodney … Bill was there, and being there is what really matters! In Fact, he will always be there. We need more Bill Rameys! PS … I picture Bill in heaven digging up St Peter’s yuka plants while George Anderson, St. Peters head lawn man mows St. Peter’s lawn … and Bill drink a cold Pepsi for me.